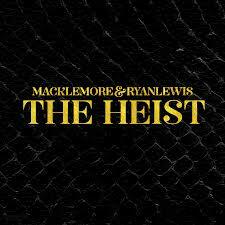 On October 9, 2012, Macklemore & Ryan Lewis released an album entitled The Heist expecting minimal reaction. With no mainstream promotion or support, the hip-hop duo hoped to crack 30,000 total units sold for a record that was independently produced, recorded and released. But somehow, someway, the music caught fire. Today, Mack and Ryan celebrate a new feat, one million copies sold, and their first platinum record. But how exactly did they do it? Maybe it was the funky, feel good trumpets on a first single like “Thrift Shop” that spread the popularity. Maybe a music video that included the colorful visuals of Macklemore running over couches dropped the jaws of fans across the world. Maybe it was it’s incredibly catchy hook that had little kids everywhere screaming “this is f****** awesome.” Eventually, it became a song that infiltrated what seemed like every radio station in America and spread like wildfire across the world. The single is now five times platinum. Maybe it was the second single. The inspirational and uplifting drums of a song like “Can’t Hold Us,” had fans everywhere feeling like they could be anything they wanted to, as if “the ceiling can’t hold us.” Maybe even captain of a pirate ship. So when it came time to make a video for a song that is now 3 times platinum what did he do? He rapped on a pirate ship, a traveling living room attached to a pickup truck and then sky dived out of an airplane onto the space needle. That video now sits at around 100 million views and recently just one the VMA for best hip-hop video. But with all the radio success and platinum singles, the meaning behind The Heist sometimes gets lost. The emotion, the struggle and pure writing ability of an independent artist who’s taken his notebook rhymes out of his mom’s basement and into the limelight has been blurred and mutated. Songs that speak for something in this desensitized world get forgotten. 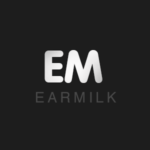 Tracks like “Wings,” “Starting Over” and ‘Jimmy Iovine” tackle really controversial topics in an extremely creative way with flawless production from Ryan Lewis. So how do they avoid being called sell-outs when the mainstream media only covers their playful sound? They release a beautiful track featuring the magnificent voice of Mary Lambert in an attempt to promote gay rights. “Same Love,” carries a message that most mainstream music can’t compete with and has recently hit platinum as well. As Macklemore stated in a speech at the VMA’s, it’s the record he’s “most proud of in his career.” And he should be, an independent artist spent the last year stealing the spotlight from a lot of bigger acts with an album properly named, The Heist.